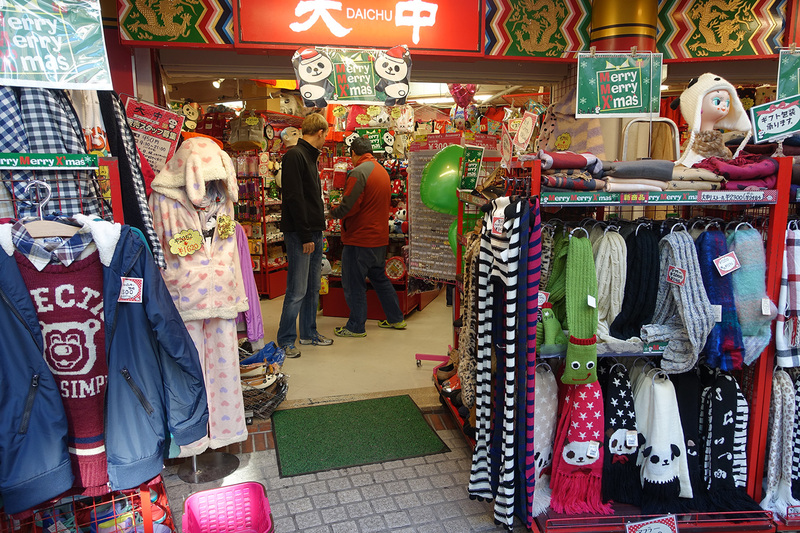 We stopped in several eclectic stores and found some fun attire and souvenirs. 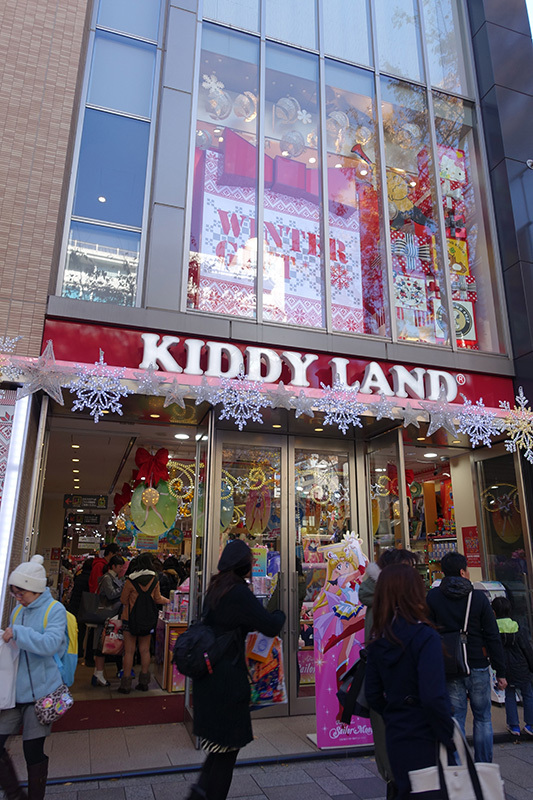 Just outside of this store was a row of gashapon bending machines. We’ve ben fascinated by these little machines since they dispense all kinds of toys and trinkets in plastic capsules. They work similar to a gum ball machine: put your coins in, turn the crank, and get your toy. There are usually several types of toys in each machine like figures of different characters from an anime series so each try is a surprise. 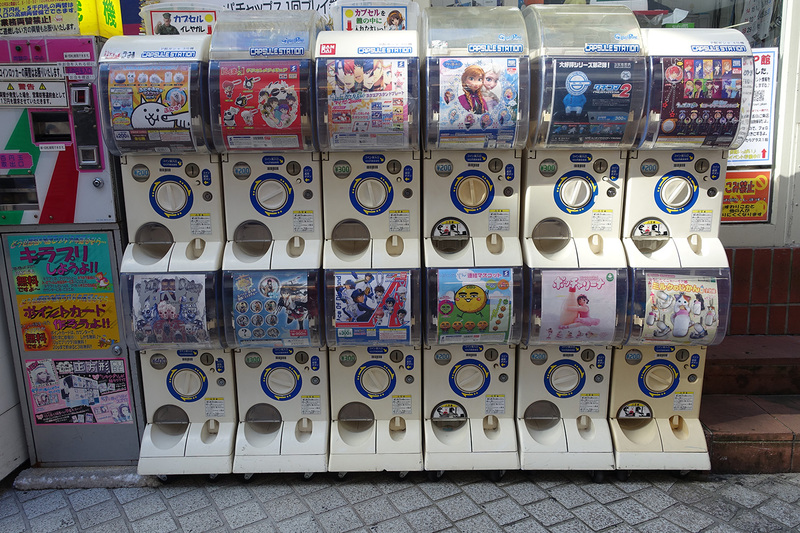 You can see in the photo that there’s a gashapon machine for toys from Disney’s Frozen. 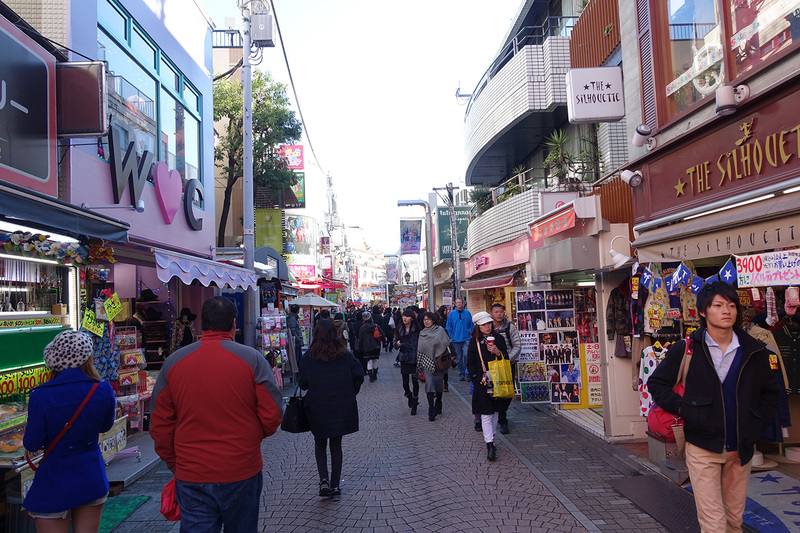 We headed back down Takeshita street and it was apparent that pink is a favorite color here. You might recognize the big bear from my post on day 4 of our trip to Japan (he has vampire teeth). Here is another view of the area from further down the street. We saw several crepe stands while we were walking along. 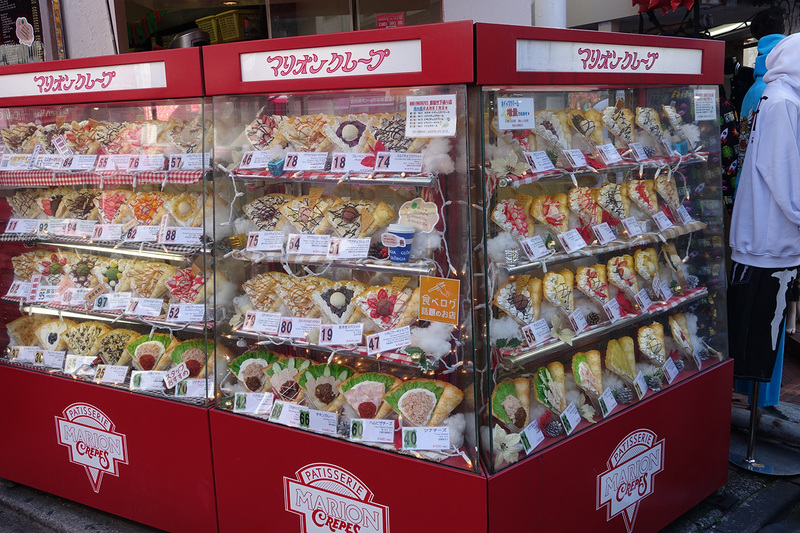 I’ve seen these in anime and manga and it was neat to find that crepes really are a thing in Japan. This case shows the wax or plastic display models of what you can order at this stand. 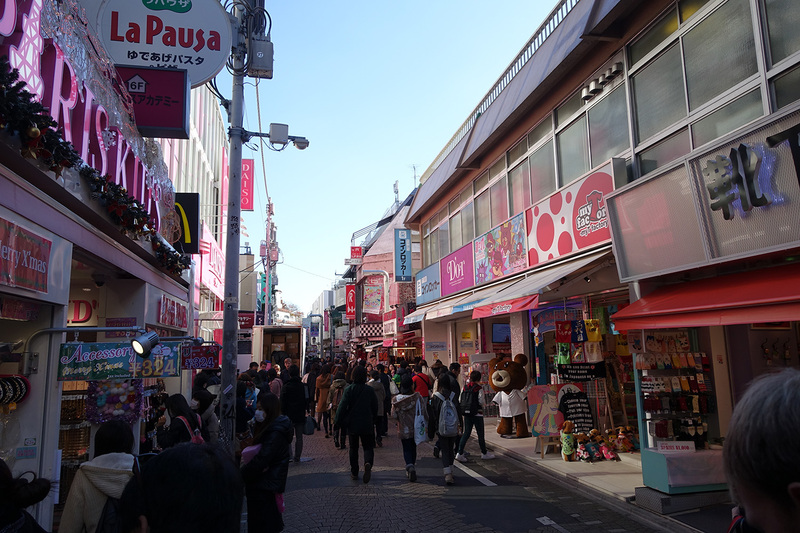 Here is another busy collection of shops we visited where it looked like all the cool kids shopped (so, yeah, we were a bit out of place ;). 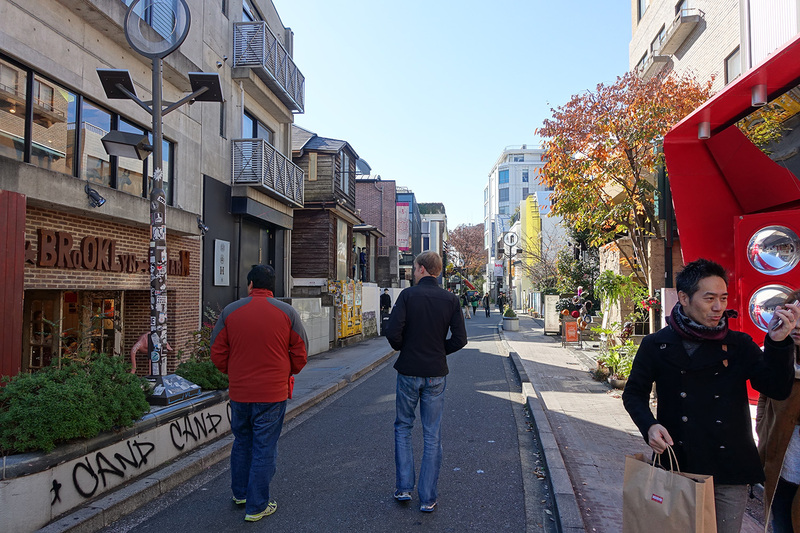 We walked down Harajuku Street until we came across a quieter side street where my friend had purchased his tiger backpack (see day 7 for a picture) and where we had previously visited the Polcadot store (see day 4). I love the Polcadot store and ended up purchasing 2 hats, which I’ll feature them in a later post where I share photos of the loot from my travels. 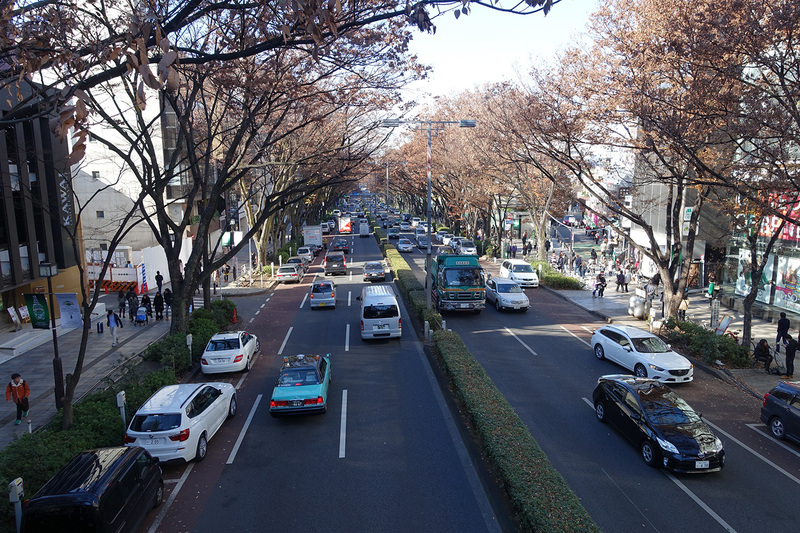 We made our way to the main boulevard, Omotesando, which is lined with high-end fashion shops for brands like Dior, Chanel, and Ralph Lauren. 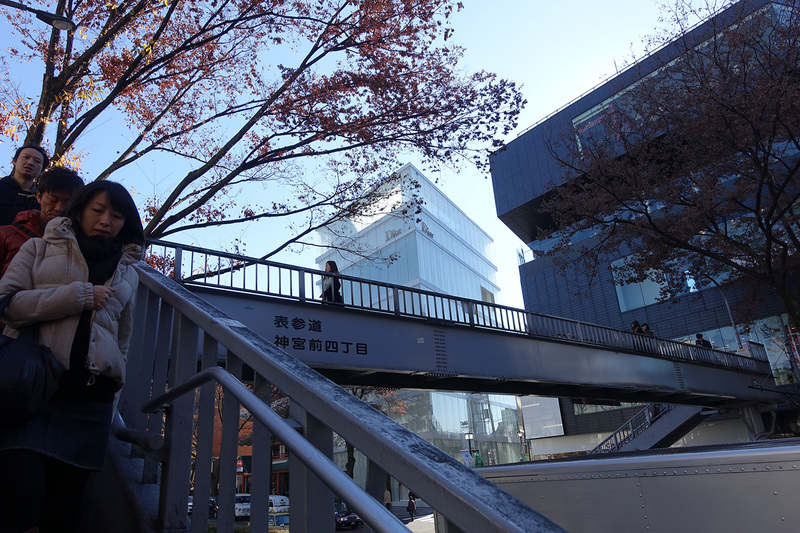 Here is a view of the Dior building near a pedestrian bridge. The Dior building is so pristine that it looks like an architectural model or artist’s rendering. It’s easy to understand why this boulevard is also known for its architecture as well as its high-end fashion. Here is a view down the boulevard from atop the pedestrian cross-over bridge. Even the The shopping malls in the area sport boutiques for brands like Bottega Veneta and Dolce & Gabanna. 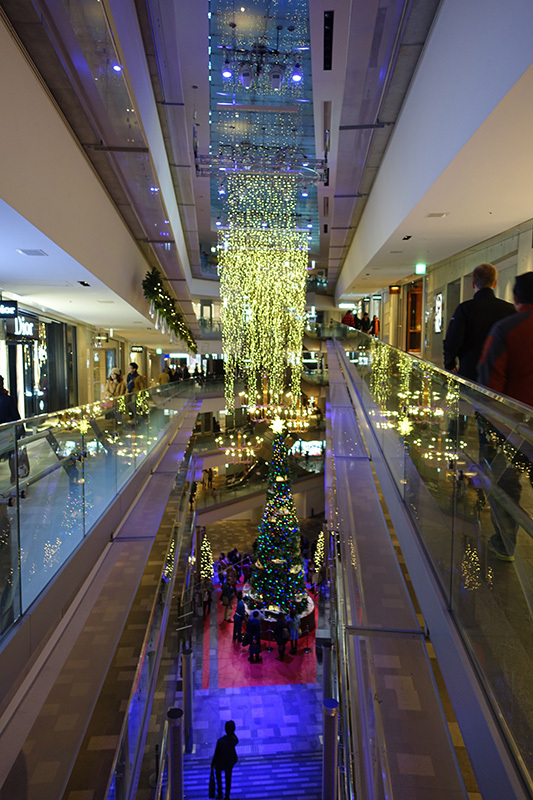 Here is a view inside of that shopping center. 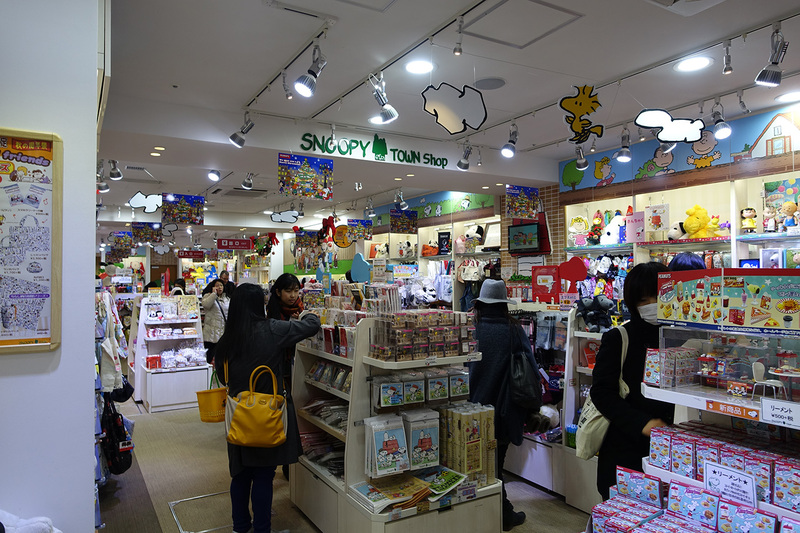 Among the fashion stores packed into this area, there was a store I was particularly keen to visit: Snoopy Town. One of my best friends is a big fan of Snoopy and since I knew there are many Peanuts-related products made only for the Japanese market, I had to visit and get some gifts. 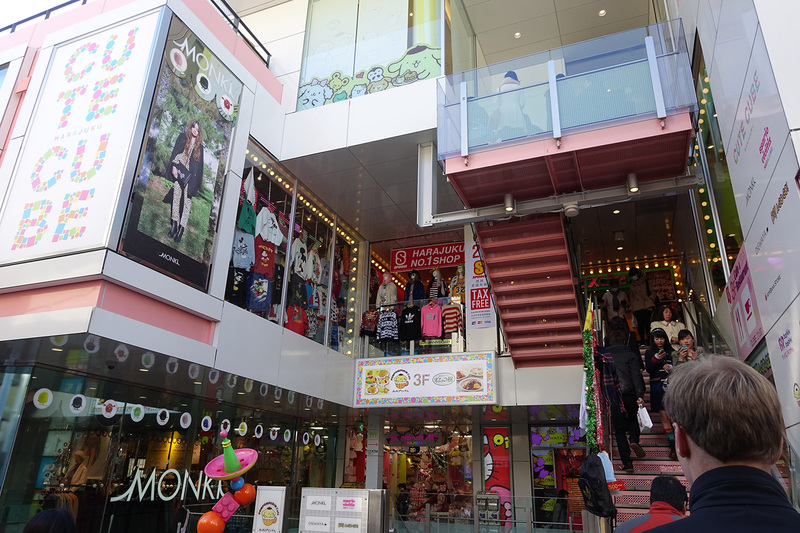 Snoopy Town is located on the basement level of the Harajuku Kiddy Land. There was a queue outside for something we couldn’t figure out but it didn’t impact the Snoopy store so we were good to go. Inside, the shop had everything one could imagine for a Snoopy fan. 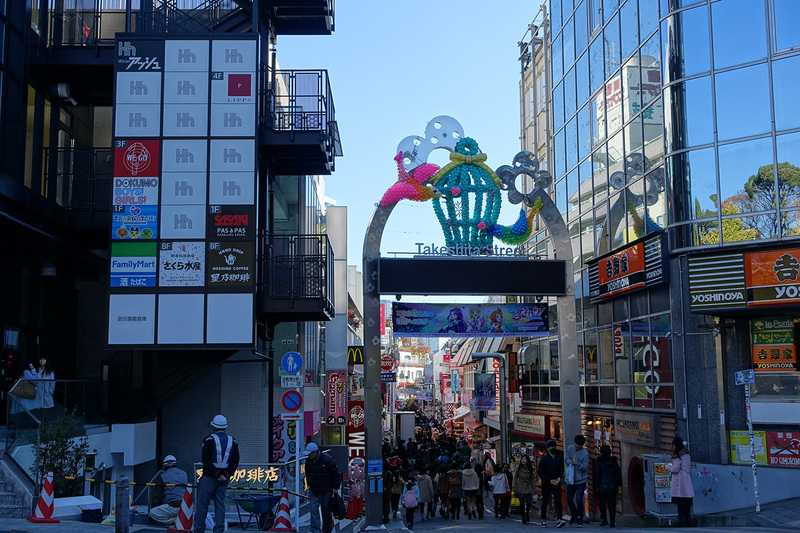 I picked up a few little things for my friend and it was time to move on to our next destination: Shinjuku. I’ll continue from there in my next post.